Mr. Borger joined the firm in October of 2017 and he focuses his practice in the areas of Chapter 7 and Chapter 13 bankruptcy. Mr. Borger received his Bachelor of Arts degree in June of 2011, earning a double major in Political Science and Philosophy. 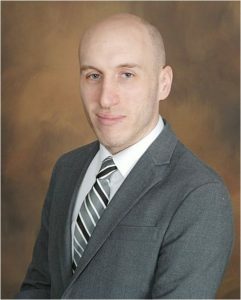 After receiving his undergraduate degree, Mr. Borger went on to attend Rutgers School of Law in Camden, New Jersey where he graduated in 2015. While attending law school Mr. Borger interned for the Honorable Judge Mary Walrath, bankruptcy judge in the state of Delaware. Mr. Borger was also a dedicated member of the Rutgers School of Law Bankruptcy Pro Bono Project, receiving the Pro Bono Publico Award, for significant service to the community.